(MENAFN - Muscat Daily) Muscat- Golf in Oman is set for a fresh tee-off as the Ministry of Sports Affairs (MoSA) will be setting up Oman Golf Association (OGA). The news of making the existing Oman Golf Committee (OGC), also branded as Golf Oman, into an OGA was revealed by H E Dr Mohammed bin Hamad al Rumhi, Minister of Oil and Gas, and the man behind the development of golf in the sultanate. OGC was set up by MoSA in January, 2009. The news of the setting up of OGA could not have come at a better time with Oman getting ready to host its biggest golf tournament - the Oman Open - a European Tour event for the second year in succession. The US$1.75mn prize-money tournament will be held at the Greg Norman-designed Al Mouj Golf from February 28-March 3. It is expected to attract some of the world's leading golfers, including defending champion Joost Luiten and Ryder Cup star Chris Wood. 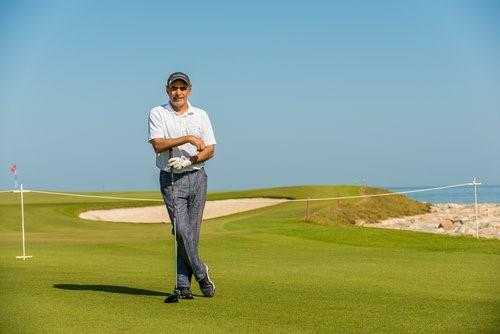 The Oman Open, which was successfully played as NBO Open last year, is 'a dream come true' according to H E Dr Rumhi, whose keen interest has been the reason that the European Tour continues to make Oman as its destination. After the pullout of NBO as the title sponsor, H E Dr Rumhi's personal interest saw Oman's private sector come forward in a big way. Besides the private sector in Oman, in a first, there are few overseas companies, who have joined in to support the event. 'Sometimes with problems come opportunities. We were disappointed when the main sponsor backed out so late. However, a few calls and it did not take us long to get the other sponsors on board as they agreed with our aim - to put Oman on the world golfing map and use the Oman Open as a vehicle to promote golf tourism in the sultanate.